Les Gets is a small, friendly resort that offers a good mix of slopes in its own right. However, Les Gets is part of the Portes du Soleil ski area (in the Haute Savoie region) which is huge. This will keep everyone happy and you can village hop for lunch. In total, there are over 650 km of piste to explore. However, it must be noted that this area lies on the fringe of the Alps at a lower elevation than most resorts. As a consequence, snow cannot be guaranteed and the season is somewhat shorter. The town is partly car free and traditional in style. There are plenty of places to eat and drink and the party can continue late into the night, if desired. We've partnered with Ongosa, who recommend and book the best snowsports instructors and guides in Les Gets for you. 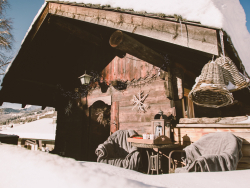 Les Gets has approximately 36 restaurants, snack bars and takeaways in the village, plus another 20 mountain restaurants.Many Les Gets restaurants serve local specialities of fondue, tartiflette, raclette, pierrade and berthoud. Most of these hearty, winter food dishes use lots of cheese and potato. Les Gets isn't renowned as a party resort but it does have a surprising number of civilised après-ski venues considering it is a small ski resort. Les Gets hosts many mountain biking events. There are two distinct downhill mountain bike areas, one on each side of the village. The downhill mountain bike run on Mt Chéry has been used in the Mountain Bike World Cups and in the Mountain Bike World Championships. The popular resort year long is also home to an 18-hole golf course 5,264 metres (17,270 ft) long, which overlooks Mont Blanc. In the summer, there are all kinds of evening activities in the centre of town, ranging from discos to the "Pot de Bienvenue" (a welcome drink) on a Monday evening. A lot of emphasis is given to children's entertainment, such as wooden games set out in the street, street performers and a carousel. Live bands regularly perform on the semi-permanent stage in the centre of the village, attracting both locals and tourists. 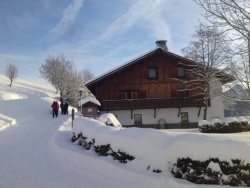 [short_description] => A large 3 bedroom, self catered chalet for 6/7 people, within walking distance of Les Gets. 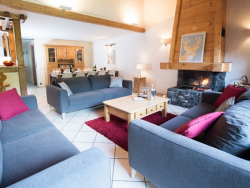 A large 3 bedroom, self catered chalet for 6/7 people, within walking distance of Les Gets. [short_description] => This is a brand new luxury chalet with direct access to the Perrieres ski slope. 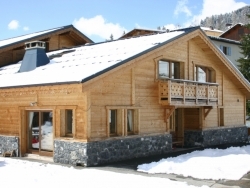 [short_description] => High quality 4-bedroom with direct access to the pistes. En-suite rooms, sauna & hot tub in large sunny garden. 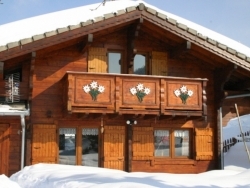 [short_description] => High quality 4-bedroom chalet with direct access to the piste. En-suite rooms, Sauna & Hot tub with large sunny garden. 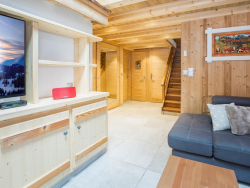 [short_description] => Family run chalet in a quiet area of Les Gets with great views. Resident hosts and all en-suite bedrooms sleeping 8-10 guests. Family run chalet in a quiet area of Les Gets with great views. Resident hosts and all en-suite bedrooms sleeping 8-10 guests. [short_description] => Chalet 345 is a luxury self catered chalet - unrivalled southerly views over the enchanting French ski resort, Les Gets. Only 5 mins walk from it all. 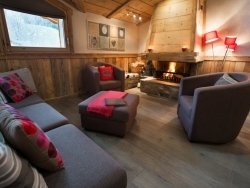 Chalet 345 is a luxury self catered chalet - unrivalled southerly views over the enchanting French ski resort, Les Gets. Only 5 mins walk from it all. 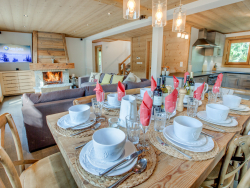 [short_description] => Located very close to the ski pistes and ski lift, Chalet Fram offers real luxuries with its sauna, log fire and beautiful decor. 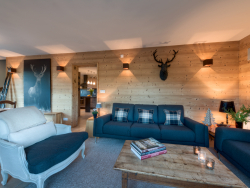 Located very close to the ski pistes and ski lift, Chalet Fram offers real luxuries with its sauna, log fire and beautiful decor.